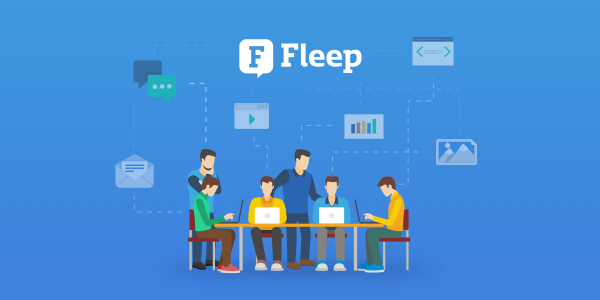 We have taken another step to simplifying your communication with your teams and project contributors – today, we’re introducing Fleep Teams to the public! What are Teams in Fleep? 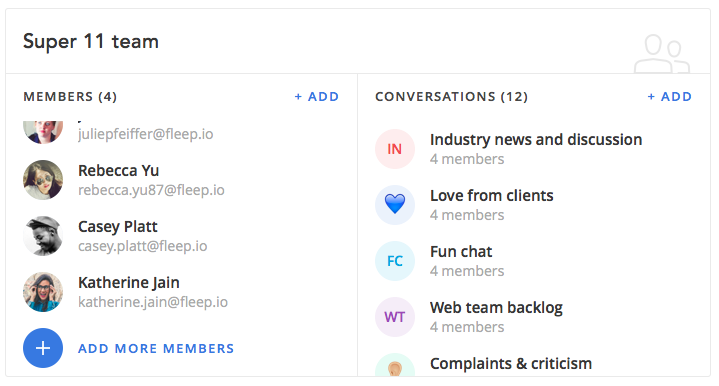 Fleep Teams are groups of Fleep and/or email users. 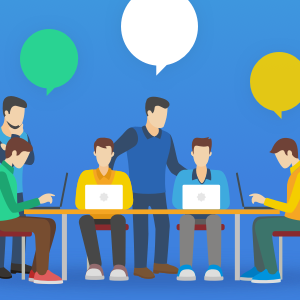 Fleep teams make it easier for you to manage and organize the conversations you have with your teams – be it your internal team, your project team that includes external partners and clients, your book club, or all of them! What happens when you create a Fleep team? Fireworks! Once you have created a Fleep team, you can add it to conversations – and all team members will then be able to see and access those conversations. These conversations become the team’s conversations – but don’t fret, you can also add individual people from outside the team into the conversation one by one, if you wish. The best part? If someone new joins your organization, all you need to do is add them to the Fleep team, and they will automatically be added to all of the team’s conversations. Should someone leave your organization, removing them from the Fleep team will also remove them from all team conversations. By default, all team conversations are organized under the team’s label in your list of conversations, and they are not shown under your Recent conversations. You can change and customize all of this in the Manage labels view, if you wish. What if I already have a system in place with my team’s conversations in Fleep? Creating a Fleep team and adding existing conversations to the team will help ensure that all team members indeed are in all the chats they need to be a part of. And while you’re at it, you can also clean up all team conversations with conversation bulk actions – by removing people from conversations they do not need to be a part of. Nice! Anything else I should know? If you’re a member of a Fleep team, you will be automatically added to all of the team’s conversations. You cannot leave a team’s conversation without leaving the team. If the conversation is not too relevant for you, muting the conversation may be a good idea. You can create and belong to as many teams as you wish. So, you can have your internal team, your Project X team, your Project Y team… You get the point. The maximum number of members in a team is 200. How do Fleep Teams work? Can I add external people to my team conversations? Can I leave a team conversation without leaving the team? Have any questions or feedback for us? Contact us at support@fleep.io. Let’s also stay in touch through our social media channels - Twitter, Facebook, LinkedIn, Instagram.